Buyers are looking for furniture based on visual criteria only. While the internal part (furniture filler) is much more important. It is the filler that sets the stiffness and softness of the seat and not the look of it that will determine the life of the sofa. Always look for the sofa with the choice of "stuffing" in mind. Otherwise, after a couple of years you risk getting a disaster instead of an armchair in a beautiful upholstery. Furniture filler: fillers are classified in two types. The filler of seats in upholstered furniture are: with the spring block or spring base and without springs. In the first case, the springs of continuous weaving are "wrapped" in several layers of coating materials: coconut coir, horsehair, polyurethane foam (PPU), and so on. The different density of each layer allows you to create more rigid or soft cushions of the seats and back. In the case of springless fillers, a block of cast polyurethane foam acts as a "core". 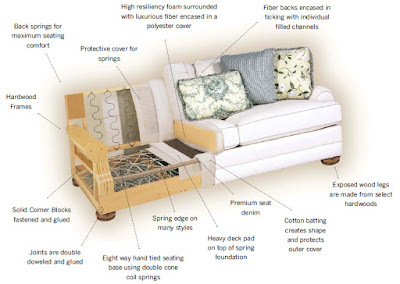 Spring base soft furniture is historically the oldest. Springs were generally the only possible filler of furniture before the invention of amines - organic derivatives of ammonia. Antique sofas and the vast majority of classic replicas are made exclusively "in the old fashion", on the spring base. A polyurethane foam for furniture is considered a technological analog of springs - simpler (and cheaper) in production. With high quality of raw materials, spring and springless sofas are equally durable. Therefore it is not surprising that modern manufacturers prefer polyurethane foam: it is easier to work with, the manufacturing process can be mechanized as springs have to be laid manually, and the cost of raw materials is much lower. We can only agree or disagree with the fact, because the buyer rarely offered the same sofa, but with springs instead of PU Foam. This is understandable - the whole technological cycle of production is "sharpened" for a certain filler of seat cushions or backrests. 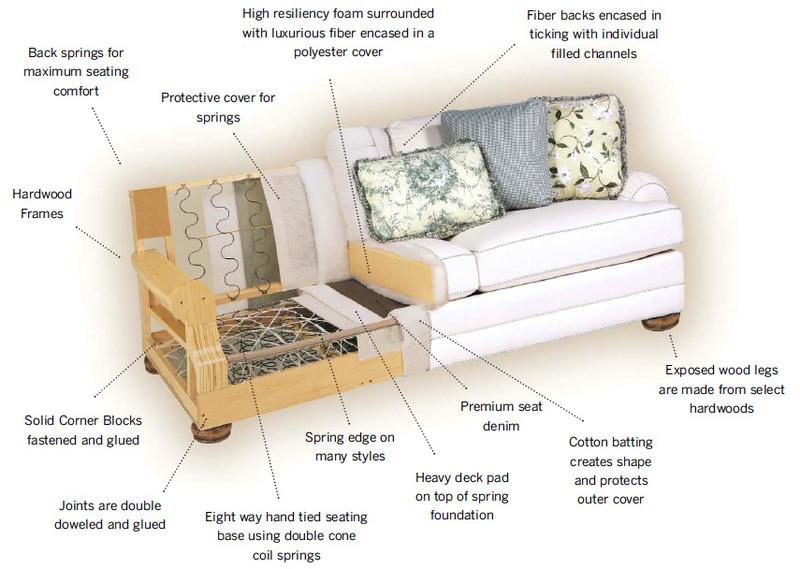 However, some filler parameters still differ in different models of sofas and armchairs. PU Foam for furniture. There are two types of polyurethane foam. The first - block (otherwise "polyurethane foam sandwich") - is a "brick" of giant dimensions. 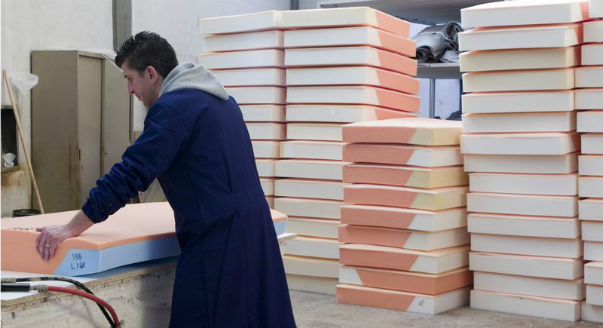 The furniture factory buys from the suppliers sheet foamed polyurethane in ready-made form and cuts into layers of the desired form of thickness. It turns out a composite seat or back, glued from sheets of varying density - from harder to softer. The second type is cast PPU. It is made directly in the furniture factory: the composition, resembling sour cream in a consistency, is filled in the mold. A chemical reaction begins, and the PU foam hardens under pressure. In the output we have a block exactly in size and shape of the cushion pillow: no scraps and waste! But there is a disadvantage of the cast PPU: a characteristic "crust" forms on the surface of the block, which does not breathe well. Cast polyurethane foam molded strictly according to the shape of the product or its individual parts - for each armchair or cushion factory needs to make its own template (a chemical reaction occurs within the template frame). Products of a bizarre shape can not be produced otherwise. This significantly increases the cost of a sofa or chair. The composition of the polyurethane is not the same for every sofa or country. Many foreign analogues correspond to the Russian generalized name "polyurethane foam": loktoam, vibrofam, baltex, technolate, foamex (USA), moltoprene (Germany), allofoam (Canada). Some pillows have a filler with a memory effect - memo foum (memory foam). These are able to store the form and literally shaping the seated, adjusting to the bends of the body. But it's temporary only up to the moment you to get up, and the cusion quickly "straightens up", getting back to the starting position. Alternative to furniture PU Foams there are two alternatives. Firstly, these are polystyrene balls (resemble crumbled polystyrene in appearance). Most seat-bags are filled with Polysterine. These balls quite quickly sit out, periodically they have to be refilled to the desired volume so get ready for regular additional spending. Second alternative is a natural latex - it is used in expensive upholstered furniture. When the demanding client basically does not want to deal with synthetic materials. 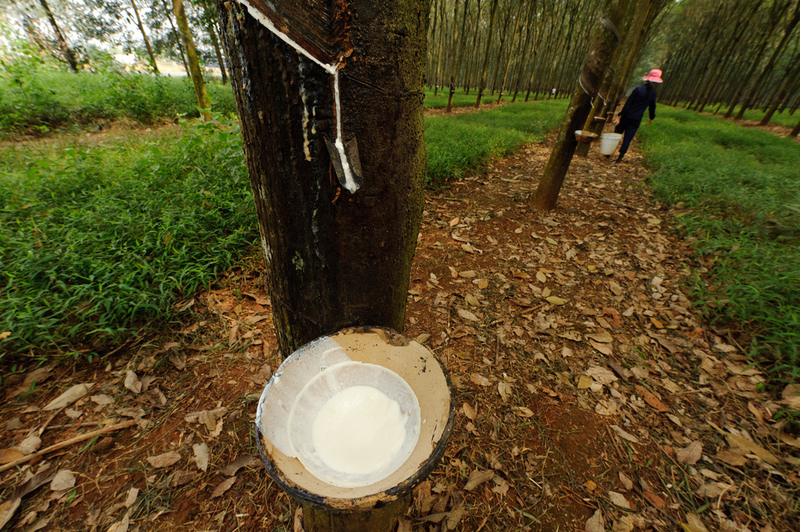 Latex is obtained from the juice of a rubber tree, or hevea. With foaming, millions of cells are formed in its structure that is responsible for hygroscopicity and air exchange. One of the advantages of the material is its durability: the service life of the latex is over 10 years, whereas the traditional PPU unit is designed for only five years (maximum eight - in expensive furniture). 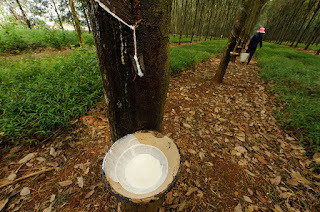 Another important quality of latex is hypoallergenicity. However, the cost of the product based on latex is quite high. To order our quality upholstery visit site.